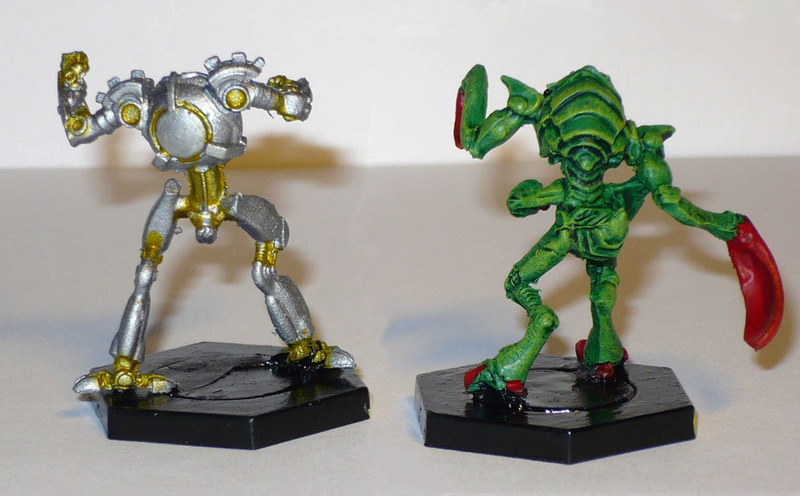 So the time has come to try out some simple paint schemes for the Dreadball teams. I have chosen a simple scheme for both teams, as most of the Season 2 figures all have rather a lot of mold lines that are impossible to remove competely, and that will ruin a better paint job anyway. All the figures in both these teams suffer greatly from this. The mold lines should be apparent even in the pictures here. And this is after spending hours scraping and filing at the restic. Difficult removal of mold lines is the major disadvantage of the Restic material in my opinion. Someone on the Dreadball forum suggested an intuitive and brilliant colour code for positions that I have adopted. Red for Guard, Yellow for Jack and Green for Striker (and Orange for Keeper) like traffic lights. So I have colour coded the three front threat zone sides of the bases with Yellow as they are both Jacks. In addition the robot has been detailed with yellow ink. 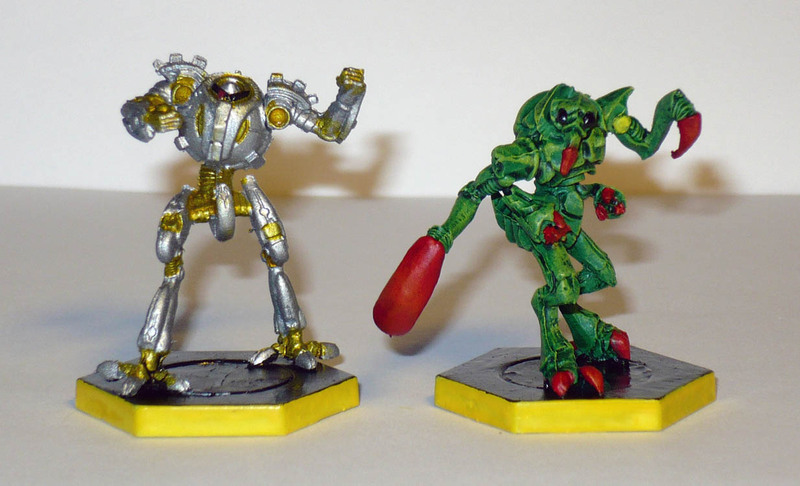 The robot guards will be detailed with red, and the strikers green. The MVP according to position. I am still pondering whether to bother with filling the bases to smooth them properly out or not. Maybe I will just do that with some of the figures that are to get a better paint job. NextGnoll MacDonald raids your farm, E-I-E-I-O!